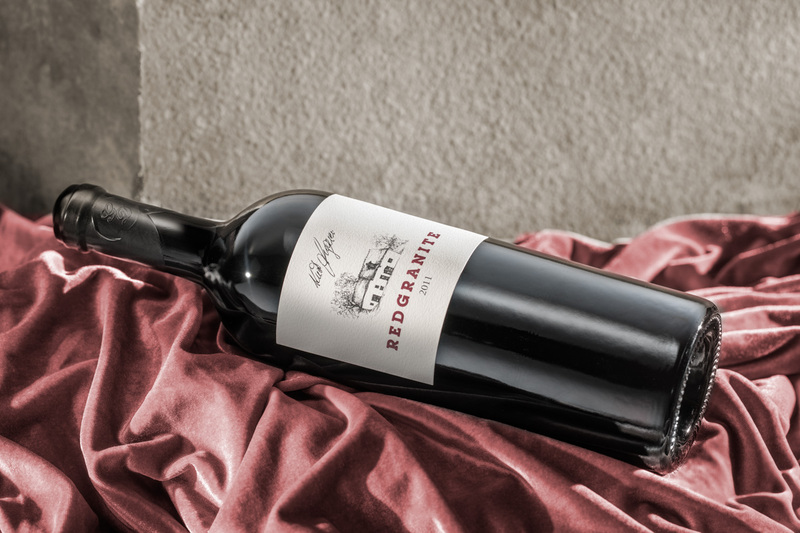 Redgranite with its maiden vintage 2011 is a blend of Shiraz and just a little bit of Merlot, which reflects in unknown intensety the minerality and complexety of the Kamptal terroir. A beautifully exposed single parcel of old Syrah vines creates the core of Redgranite. In the winery of Kurt Angerer a new cellar was build to accommodate this adventure and to garantee perfect vinification and aging conditions. What makes Redgranite so special? Among many other aspects the innovative vineyard concept called „Diva Viticulture“ reduces the yields per plant from traditional 2-4 kg down to less than 250 g. This radical and expensive approach leads to a very high aroma concentration. After achieving full ripeness an expert team carefully conducts hand destemming directly in the vineyards. Both preciseness and speed belong to the most important parameters to assure the best sorting. The vinification in new rotating barrique barrels makes the crucial impact on the one-of-a-kind style of Redgranite. Due to the high operating expenses and many additional risks, this process called Vinification Integrale is only applied by very few wineries. The wine is elaborated in two hundred percent new French barrique oak barrels (225 l). To give our wine its outstanding structure the barrels are replaced after the first 13 months. Darnajou belongs to the most renowned coopers in the business and supplies cult wine producers like Lafleur, Pingus and Harlan Estate. Thanks to a very close cooperation with Vincent Darnajou there are some very special alterations in manufacturing the barrels for the wines of La Petite Révolution – Collection. Taking into account the latest expert knowledge on wine development after bottling, an aging potential until 2050 predicted. Loftie Ellis, a South African expert for microbiology in winemaking makes several regular analyses per year of each single barrel. Due to this diligence undesirable contaminations that might reduce the aging potential can be avoided in time. Our corks are produced by Abel. A French company very well known for supplying Château Margaux and DRC. After an extended inspection of our cellar in Roquebrune Abel decided to create a special edition of only 1.000 corks for Austria and 1000 corks for France with an unusual length of 60 mm. The corks originate from a very unique forest in Portugal and are hand cut by one of the top specialists in the cork business. A cork screw with an extremely long twist is recommended to open our hand corked bottles. Any bottles with cork faults will be replaced free of charge. The Austrian company BT Watzke produces the heavy tin capsules used for our wines following old traditional methods. Capsules and labels are fixed by hand. The production is limited to three barrels which were filled without filtration after 28 months into 805 bottles of 750ml, 18 magnums of 1500ml and 89 bottles of 0,375ml.